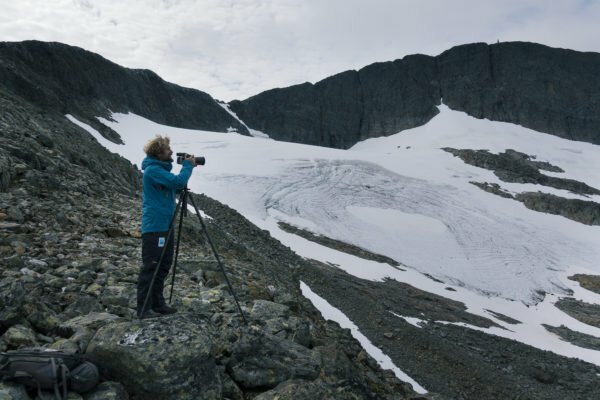 Klaus Thymann recently visited Helagsfjället, a mountain in Sweden, to document how the area’s ice has changed over time. The mountain is home to the most southern of Sweden’s many glaciers and is part of the Scandinavian Mountains. 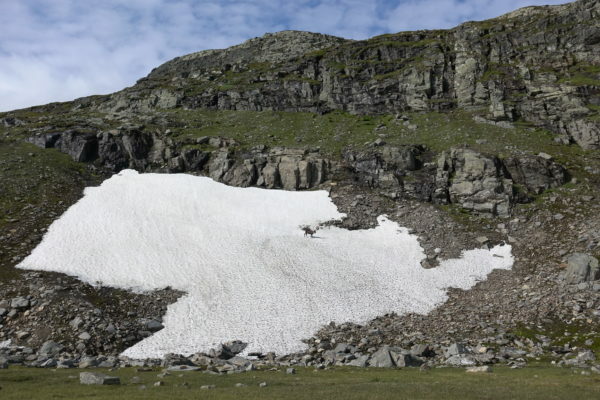 At 1797 metres above sea level, it’s the highest mountain in the country south of the Arctic Circle – but even at this altitude its glacier is shrinking. The purpose of Thymann’s recent trip was to create an updated comparative image for Project Pressure’s archive collaboration with World Glacier Monitoring Service (WGMS) correspondent Per Holmlund. A glaciologist and professor in the Department of Physical Geography at Stockholm University, Dr Holmlund helped us locate a picture of Helags from 1908.
both are panoramic images stitched together from multiple exposures.